Fig. 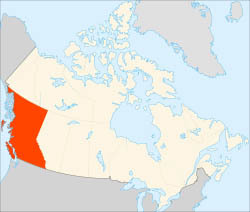 1 Map showing British Columbia, the western-most province of Canada. Fig. 2. The official 2012 population estimate for grizzly bears in British Columbia, Canada, quote from page 2. See text for reference and link. Note the clarity of language. Click to enlarge. Fig. 3. The official 2012 population estimate for grizzly bears in British Columbia, Canada, quote from page 3. See text for reference and link. Note the lack of statistical obfuscation. Click to enlarge. While there are of course some distinct differences in the material and circumstances under consideration for British Columbia grizzlies in 2012 and circumpolar populations of polar bears in 2009, there are also many similarities. One of those similarities is the scarcity of good quality historical data for management units within the geographic ranges under consideration. However, in contrast to the 2009 PBSG report, the authors of the 2012 BC grizzly bear population estimate refrained from making status and population trend assessments when it was apparent that it was not possible to back up such assessments with reasonably accurate data. Anonymous. 2012. British Columbia Grizzly Bear Population Estimate for 2012. Report from the Ministry of Forests, Lands and Natural Resource Operations. April 2012. Available online. This entry was posted in Population and tagged British Columbia, grizzly, IUCN, Polar Bear Specialist Group, population size, population trend. Bookmark the permalink.